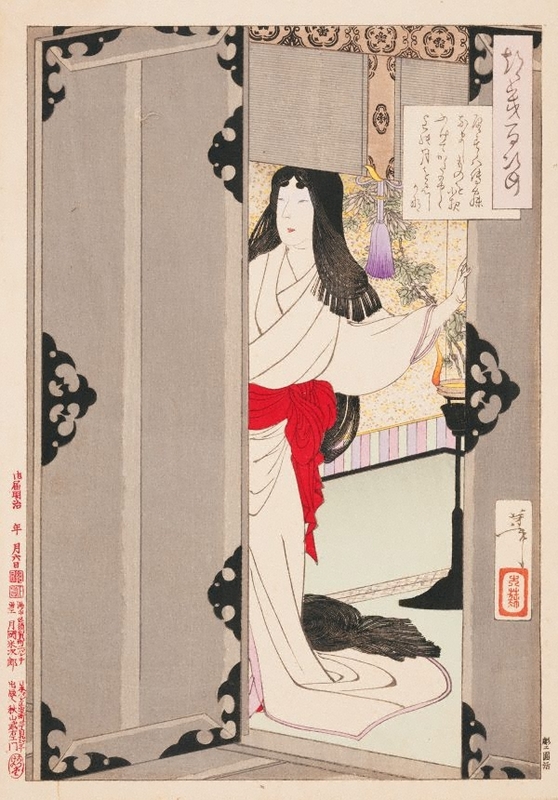 This print illustrates the poem in the title cartouche by the Heian court lady and famous poetess Akazome Emon (956–1041). It expresses the feeling of a woman who has lost a night’s sleep waiting for her lover, who did not come. Akazome served one of the emperor’s consorts and later joined the household of the most powerful political leader of the time, Fujiwara no Michinaga. Besides writing poetry, Akazome was also known as the main author of the 'Eiga monogatari', a history of the Fujiwara family.